This letter was written by David Smith (1825-1890) to his wife, Ann C. (Goff) Smith (1833-1913) of Almond, Allegany, New York. David was born in Howard, Steuben County, New York, in 1825, the son of David and Sarah (Robinson) Smith. He was a shoemaker all; his life — a trade he followed in Howard and Canisteo. In politics he was a Republican and was a member of the Universalist Church. He was married to Ann C. Goff, the daughter of Job and Rosella Goff, in May 1855. Together they had three children: Edgar Smith (1856-1892), Frank Leslie Smith (1857-1856), and Rosella (b. 1860). David Smith enlisted at age 37 in August 1862 at Wayland, [Steuben County] New York to serve three years with the 28th New York Battery. He mustered out with his Battery at New York City in July 1865. 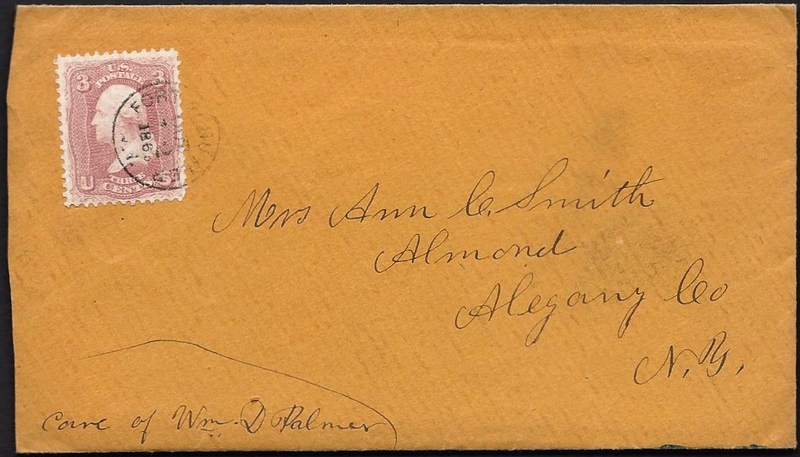 David and Ann’s letters to each other were published in 1990 by Helene C. Phelen under the title, “Who only stand and wait: Civil War Letters of David and Ann Smith, 1863-1865). I presume this letter was not in the collection of letters upon which that book was based. Though he does not mention it by name, David speaks of the Battle of Chickamaugua in which General Rosecrans met Gen. Braxton Bragg’s army in northwestern Georgia. The engagement resulted in the defeat and retreat of the Union army though the particulars of the battle were probably slow to be fully comprehended back East. He may in fact have been reacting to news of the Battle of Davis’s Cross Roads fought a few days earlier that the Battle of Chackamauga. I received yours of the 4th of Wednesday as expected but not the news that I would like to hear. I was in hopes you could report yourself off the sick list. Then when I received the one Saturday, I thought sure you was worse than ever till I opened it and found to the contrary. The only way for you to do is to take care of yourself for as the old saying is, “a stitch in time saves nine.” I am in hopes that if you don’t write as you say till you receive this that you can report well — or nearly so — as the soldiers here sometimes gets sudden news of the death of some of their family or friends. An unexpected letter comes rather tough to open. Yesterday one by the name of [William] Robinson of our Battery got a letter that his child was dead. He lived in the City. He has not got back yet so I don’t know what was the matter with the child but it must have been very sudden. The health of our Battery is very good at present. I think we only have two in the hospital at present — Bradley & one by the name of Jones from Jefferson County. Bradley went to the hospital Tuesday or Wednesday, has been threatened with the fever, had his clothes on this morning for the first & was out on the stoop, so I think that if he has good luck he will soon be around again. The other (Jones) was very low at the death of [George R.] Palmanteer ¹ but has gained ever since [and] got so he goes out on the stoop now. Seth ² went to the City but when Wednesday come, I thought I had better stay at home for New York is a place to spend money and a poor place to be without the soap, as the boys tell about. Bradley got a letter from Dolly yesterday. She was at James’, took some butter to send in with Seth’s boots. James was a going to send a box when he came from Pa. Our boots was too large so Seth sold him and sent after more but I guess I will have to keep mine and wear them without stockings for they would use up more socks than the boots in worth. Report says that the Indiana Regiment that is here has had orders to reinforce Rosecrans and is to start the first of the week. We would rather it was the regulars. They are rather too large for their clothes. The Invalid Corps has gone from Willard’s Point (on the other shore where they are building the fort) to David’s Island ³ so I think our boys can come back as there are but few rebs [rebel prisoners] there now. Those that is [there] could not be moved, so they can’t be very troublesome. James told about O. Tiffany going past his house after they was married. They have commenced putting up a bakery here by the fort so after awhile we will make the bread. The bread can’t be any better than we now get, but perhaps the officers think they can make something out of the flour. There is a man going to have an oyster stand here by the dock. I expect it will be a good place to spend money. I am glad you like to learn so fast. Ma says you both have learned to read very fast. When you get so you can read them books good, let me know and if I have a chance, I will get some more. When you go to school, be good boys, and when the school is out, then have Ma to learn you so you can beat all the boys that you read and spell with. Report says Rosecrans in a late battle took three hundred prisoners and four cannon. That is pretty good. I am glad that you and Loana can hitch so well and help one another. If it was not for Louina, I don’t know what you would do. I think she must be almost as good as medicine. 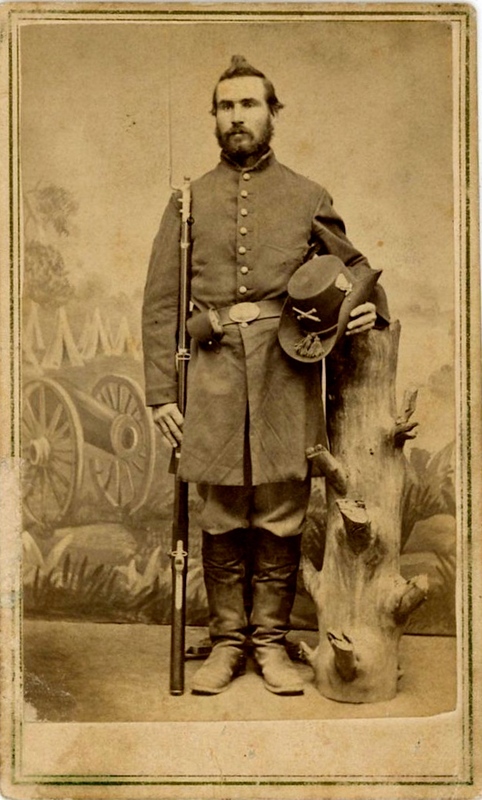 ¹ George R. Polmanteer enlisted at age 18 at Avoca in the 28th New York Battery. He died of disease on 21 September 1863 at Fort Schuyler. ² Seth Z. Rice enlisted at age 20 in August 1862 at Wayland with David Smith. He rose to the rank of corporal before being mustered out with the Battery in July 1865. ³ David speaks of David’s Island in western Long Island Sound which was the location of Fort Slocum and which served as a Confederate Prison during the Civil War. Apparently a detachment of the 28th New York Battery was serving guard duty there when this letter was written in October 1863.